We are really excited about our latest website launch! 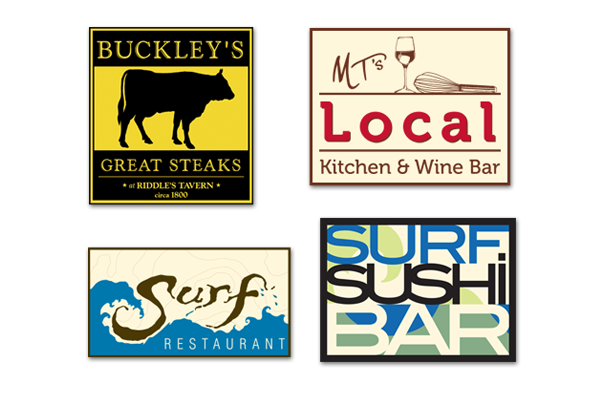 Michael Timothy’s Dining Group (www.mtdininggroup.com) consists of five NH restaurants: MT’s Local Kitchen & Wine Bar, Buckley’s Great Steaks, Surf (with locations in both Nashua and Portsmouth) and Surf Sushi Bar. 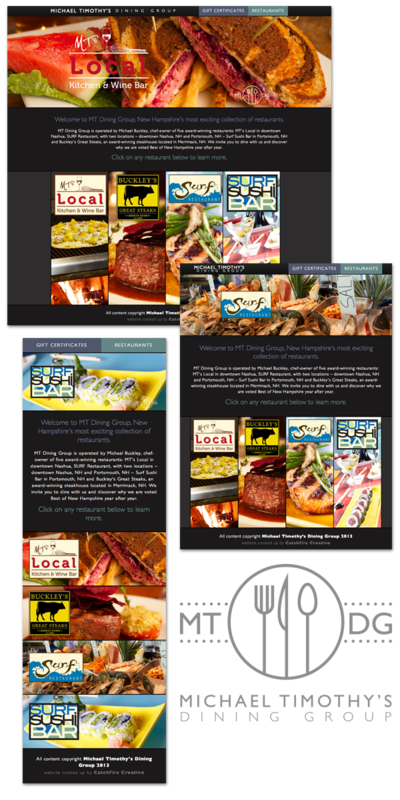 We wanted to create a tightly integrated web presence that showcased all restaurants in one place. First, we crafted a new brand that represents MT Dining Group. 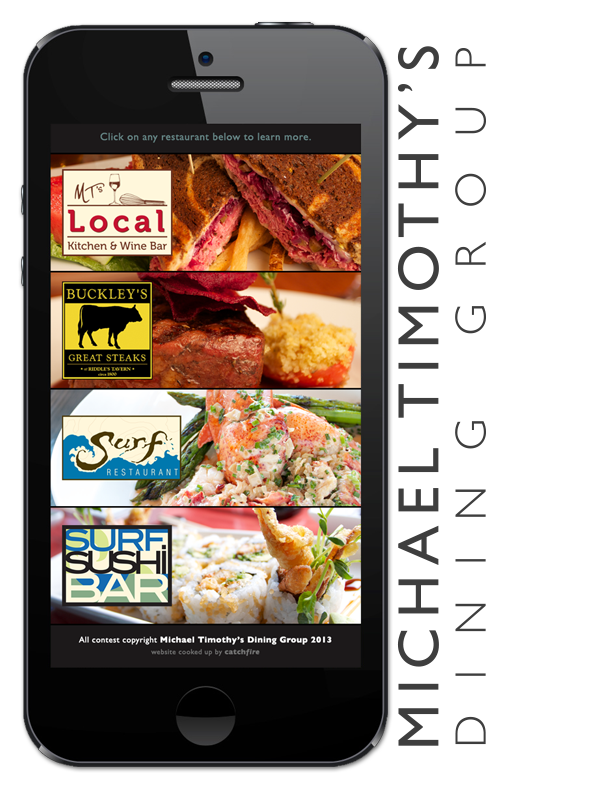 We then created a custom layout that provides an optimal viewing experience while delivering critical information – address to each restaurant, the Facebook page which includes daily posts on menu specials, and the ability to make reservations through desktop as well as mobile devices. In the process of developing such a website, you have to create rules which adapt themselves; set up key points and then set up the code, so that any variation in between will adapt the design for you. This design is best known as responsive design, and has become an innovative method for developers. To find out more, check out our latest blog post, Responsive Design Explained.